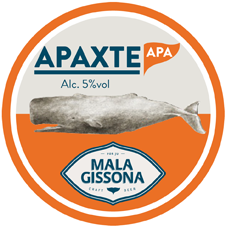 Mala Gissona beers are far from rough and definitely are honest, intrepid and adventurous – true to craft brewing principles. The brewery has adapted the technique of secondary fermentation; after priming yeast has been added to a mixing vessel, the beer is then bottled or kegged and left to condition for 10 days at 20°C. The temperature is then reduced to less than 5°C to suspend any further yeast activity. In keeping with the nautical influence, seaweed is used as a fining agent. And true to the fabulous cuisine of the region these beers are a fine match with seafood; with a range of Pale Ales and a Wheat Beer which is named after the great Belgium jazz guitarist Django Reinhart.